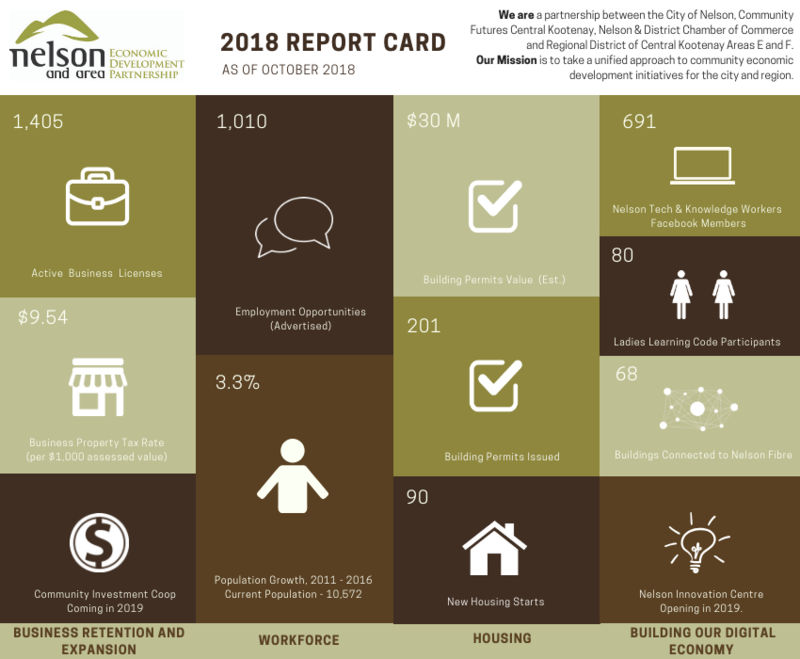 The Nelson and Area Economic Development Partnership (NAEPD) is an innovative collaboration between the City of Nelson, RDCK Electoral Areas E and F, Community Futures Central Kootenay and the Nelson & District Chamber of Commerce. It is guided by a strong and diverse Advisory Committee and its work on the ground is led by a Coordinating Committee. The Partnership was formed so that local and community economic development opportunities in and around Nelson, British Columbia could be pursued jointly, efficiently, and effectively. This unique model for economic development is an alternative to the traditional EDO approach – and is proving worthwhile. Read more about the NAEDP 2018 Report Card.